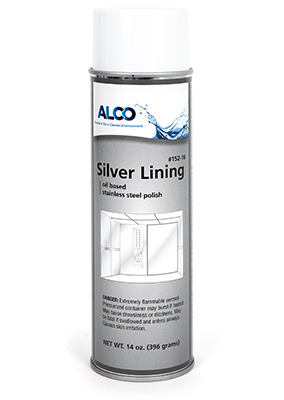 Alco Silver Lining - Alco-Chem, Inc. Aerosol oil based. Contains 100% food grade ingredients to shine and restore original luster to all metal surfaces. Leaves surfaces resistant to fingerprints, smears, smudges.